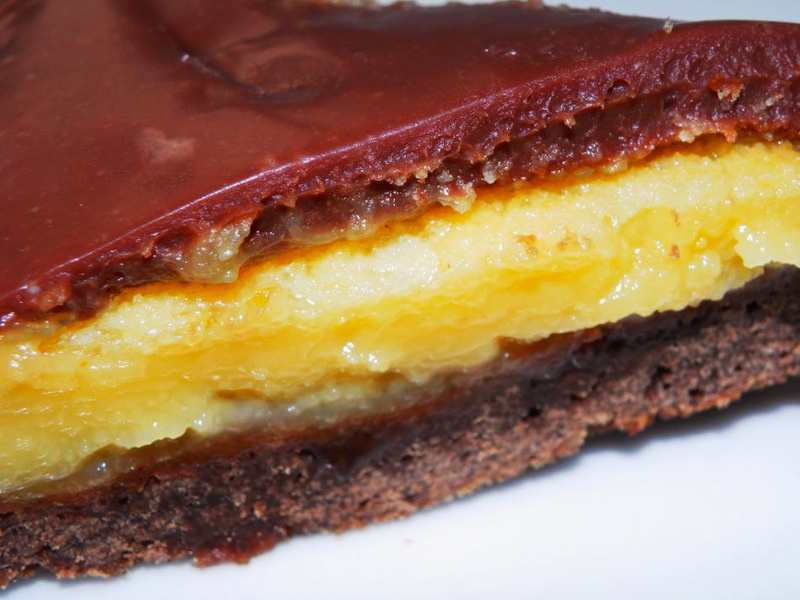 Androxa’s Chocolate and Lemon pie…..
1. Line the bottom of a springform pan of 9 inches (23 cm) diameter with greaseproof or other non-stick paper and grease the sides of the pan. 2. Using an electric mixer, cream the softened butter and sugar. Add flour and cocoa powder, and finally the egg. Reserve in the fridge for a few hours or more. 3. Preheat oven to 350 deg F (Gas mark 4 or 180 deg C). 4. Using your fingers, pat down half of the tart dough into the bottom of the springform pan (not the sides); keep the rest frozen until next time. 5. Bake at 350 degrees for about 7 minutes. 6. For the filling, mix sugar and egg for 2-3 minutes with an electric mixer. 7. Add lemon juice, , grated lemon peel, flour and baking powder, and mix well. 8. Transfer to the springform and bake at 250 deg F for about 30 to 40 minutes. A wooden pick inserted in center should come out clean. 9. Using a knife, loosen carefully the cake from the sides of the springform pan. Let the tart cool to room temperature in the pan. 10. For the chocolate frosting, heat the cream almost to a boil, add chopped chocolate, and stir until smooth. Let it cool until it thickens. 11. 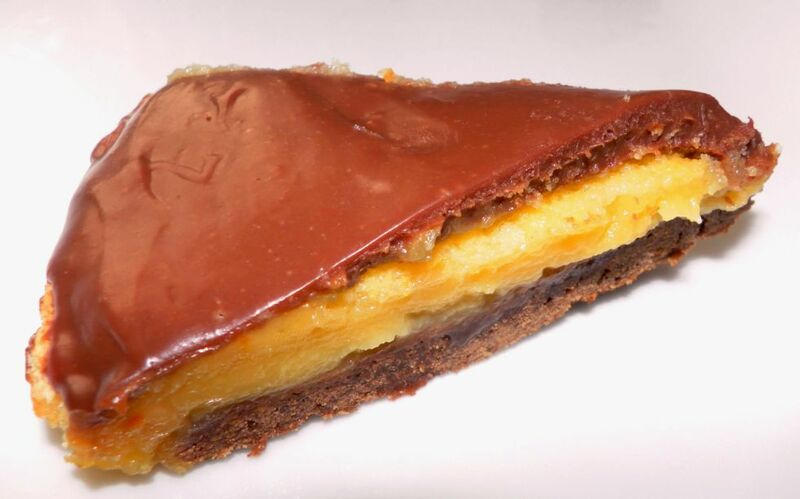 Spread the chocolate frosting evenly on top and sides of the tart.